Penn Dental Medicine features advanced prosthodontic treatments. Prosthodontics plays an important role in cosmetic dentistry at Penn Dental Medicine in Philadelphia. In fact, Penn Dental Medicine features the only graduate prosthodontics program of its kind in Philadelphia. But what exactly are prosthodontics? As a component of cosmetic dentistry, prosthodontics focuses on the repair of teeth using biocompatible prosthetic substitutes. In other words, prosthodontists specialize in providing the critical dental services needed to restore the appearance and function of damaged teeth. These include dental prosthetics, crowns and bridges, dental implants, dentures and hybrids. 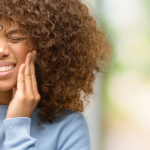 For patients who have experienced cracked, chipped, or damaged teeth, the repair and replacement procedures will have a lasting impact on the appearance of your smile. 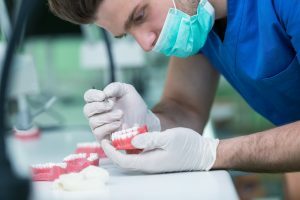 The difference between advanced specialty care and general dentistry can mean the difference between unsatisfactory, unconvincing dental repair and the long-term confidence that superior prosthodontics produces. What makes specialized prosthodontist services so uniquely effective and reliable? Prosthodontists complete advanced training as part of their dental education. In addition to finishing dental school, prosthodontists must complete three years of specialized training in an American Dental Association accredited program. 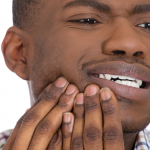 These services are essential for Philly cosmetic dentistry patients with teeth that have been lost, damaged, decayed or fractured. 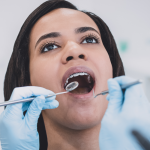 Penn Dental Medicine is an educational clinic that offers affordable, top-quality dentistry services to patients while providing student dentists with clinical experience. All operations and services are overseen by professional dental faculty; and, because both overseeing professionals and students belong to University of Pennsylvania School of Dental Medicine, your care providers are among the most renowned, elite members of the medical community. 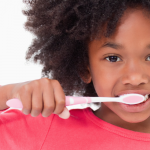 Penn Dental Medicine provides the unmatched resources and treatment methods of Penn School of Dental Medicine. It’s a unique, exceptional opportunity for top-level, affordable cosmetic dentistry in Philadelphia. Among our advanced services are a wide range of cosmetic dental services and the only prosthodontics program of its kind in Philadelphia. To learn more about cosmetic dentistry in Philadelphia with Penn Dental Medicine, or to schedule an appointment, contact us today.